It’s still early days for nanotech, but new research from the California Institute of Technology is showcasing the tremendous potential of this pint-sized technology. 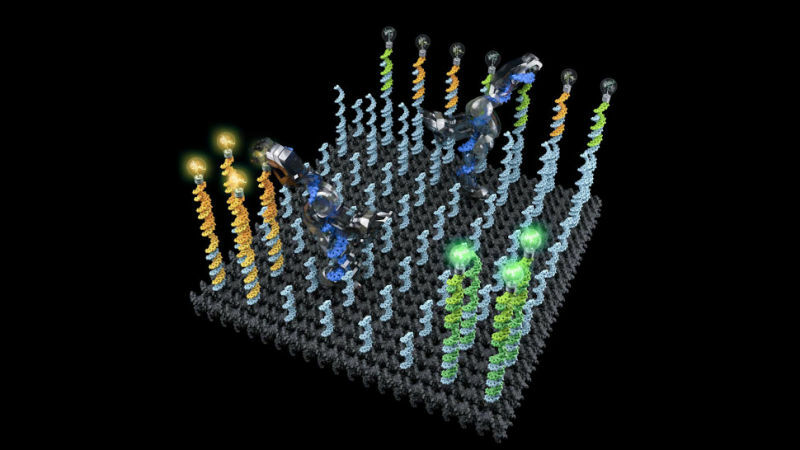 A CalTech research team headed by Anupama Thubagere and Lulu Qian has built robots from DNA, and programmed them to bring individual molecules to a designated location. Eventually, this technology could be used to transport molecules of many types throughout the body—which could potentially transform everything from drug delivery to how the body fights infections to how microscopic measurements are made.